I recently walked around at my local Walmart ® and came across the Crayola ® Twistables Colored Pencils. I remembered having something like this when I was a teenager and they interested me and felt different enough. So I bought a set, with 30 thin Twistables. I have mixed reviews about this product, a part of me wants to like it and another dislikes many things about it. You never have to sharpen, just twist the end to get some more lead. That is why most people buy this in the first place (I suspect)! You can simply throw them in your bag for a road trip and not have to worry about a pencil sharpener or shavings spilling and getting stuff dirty. I like to use these with my adult coloring books. 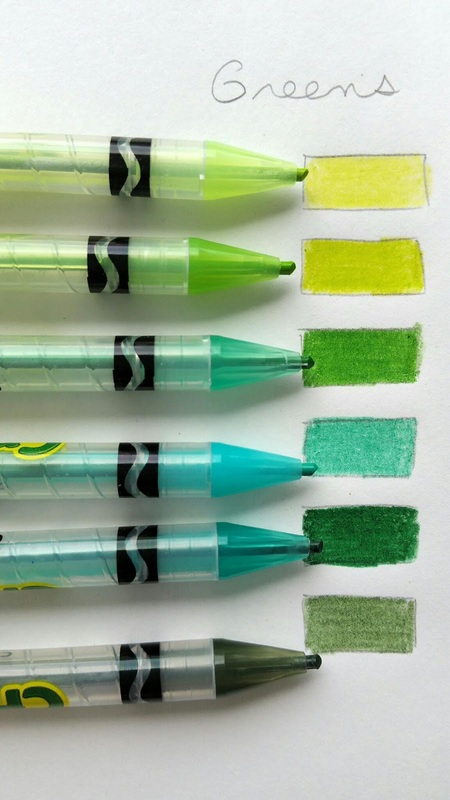 You can change the shade of your color by the pressure you put on the pencil, much like regular colored pencils. 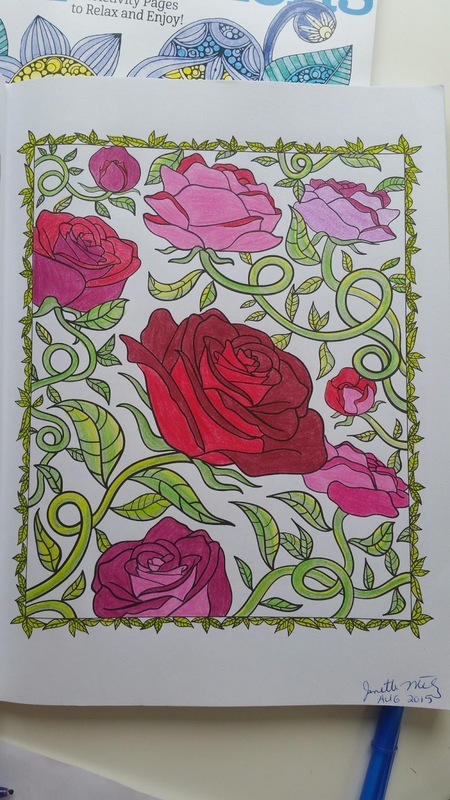 But, if pushed with enough force you get a deep, rich and balanced color, which I have not seen with low-cost colored pencils before. Which brings me to the next point; they are rather inexpensive, when compared to other professional colored pencils that work at the same level. A box cost less than $5. 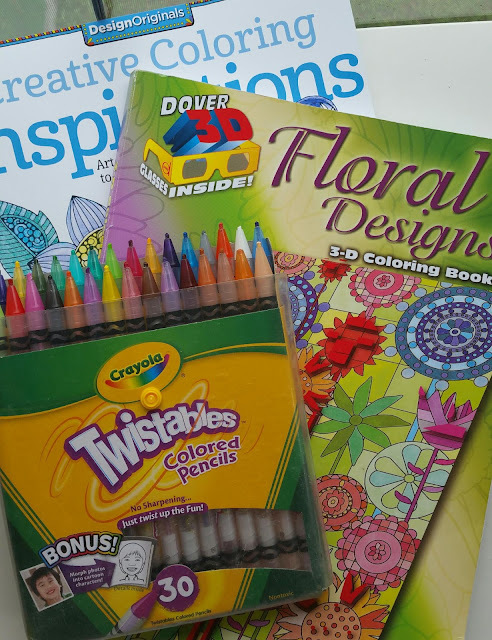 Overall, these colored pencils feel like crayons but for grownups! Some of the colored pencils won’t stay put while coloring. If you put any pressure on the lead they will twist back into the pencil “case”. This is very annoying and impossible to work with. 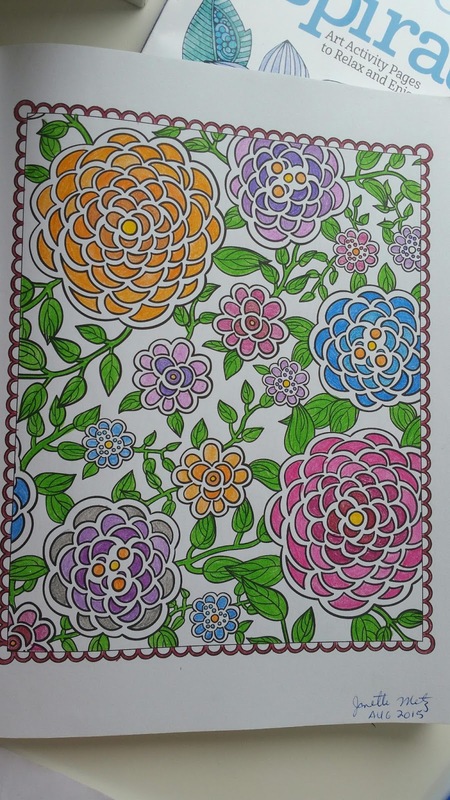 I have had to hold the twist top with one hand, while trying to color with the other. This gets tiring and cumbersome after a while! 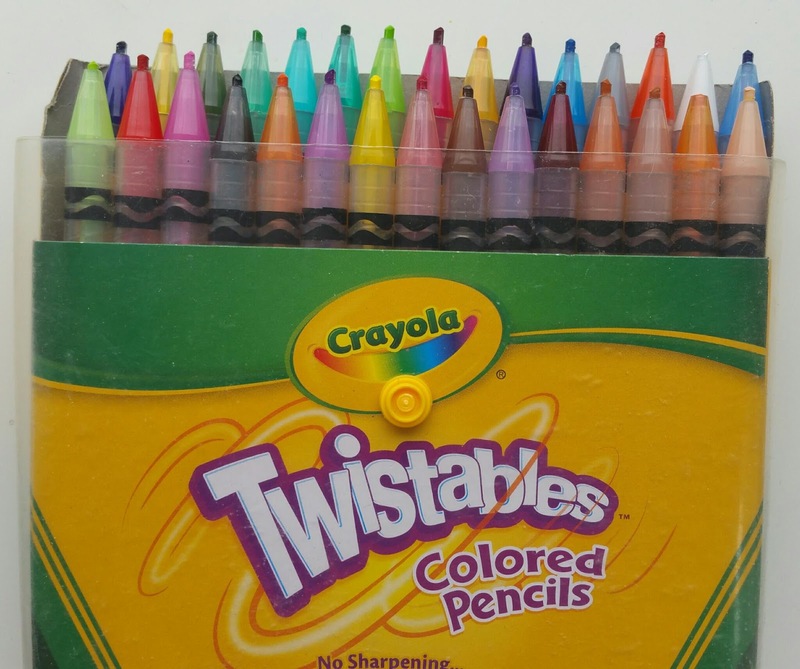 The Twistables don’t have color names on them. This makes it hard to come back to a project and pick the correct color where you left off (I have mistaken colors more than once!). To make matters worse, the pencil “case” or the plastic pencil that holds the lead, is colored to somewhat resemble the color in it. The “somewhat” is the problem! Top two brown colors look different but are not and cases have no names! Again, with no names on the pencils, you tend to fall back on the pencil “case” when picking a color. Some “cases” are pretty close to their actual color, but some are drastically different from the color lead they hold! My advice would be have a test page ready and try your colors our every time before you begin! 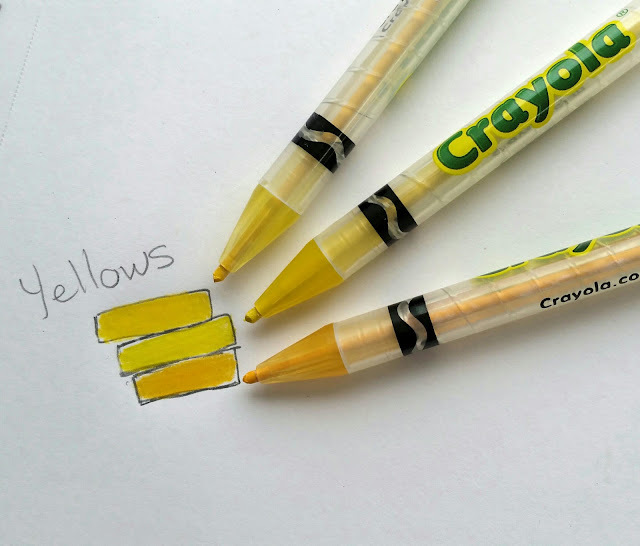 You can hardly tell the difference between the top two yellow pencils. At least two pencils in my pack color with a grainy texture. You can be creating a masterpiece with nice deep colors and all of the sudden one pencil gives the look of sand on your paper! Not cool. Grainy Purple in the Middle while other colors give dark rich textures. My last mayor problem has to do a bit with a prior problem. There are shades of pencils that are almost identical to each other and without names on the pencils you cannot tell them apart. Then there are some colors that have 6 different shades like green, and a color like blue only has two shades in the pack. I wish they had an equal amount of shades per every color, if possible. Assortment of greens, some cases don't match the color. Just in case, I realize these are not marketed for adults, which may explain many of the negative points. 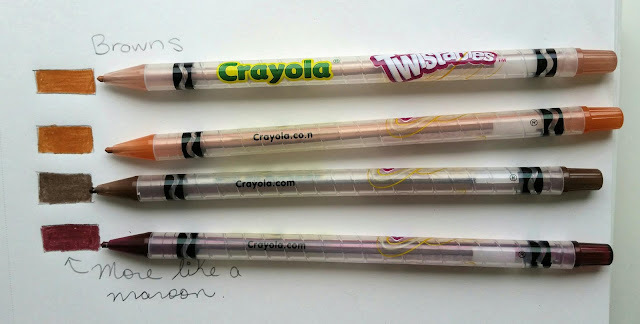 However, I still think that each colored pencils should at least have names on them. But, knowing all that I know, I still love my Twistables and use them often. I avoid the pencils that don’t work, or look grainy and test all my pencils right before using them. 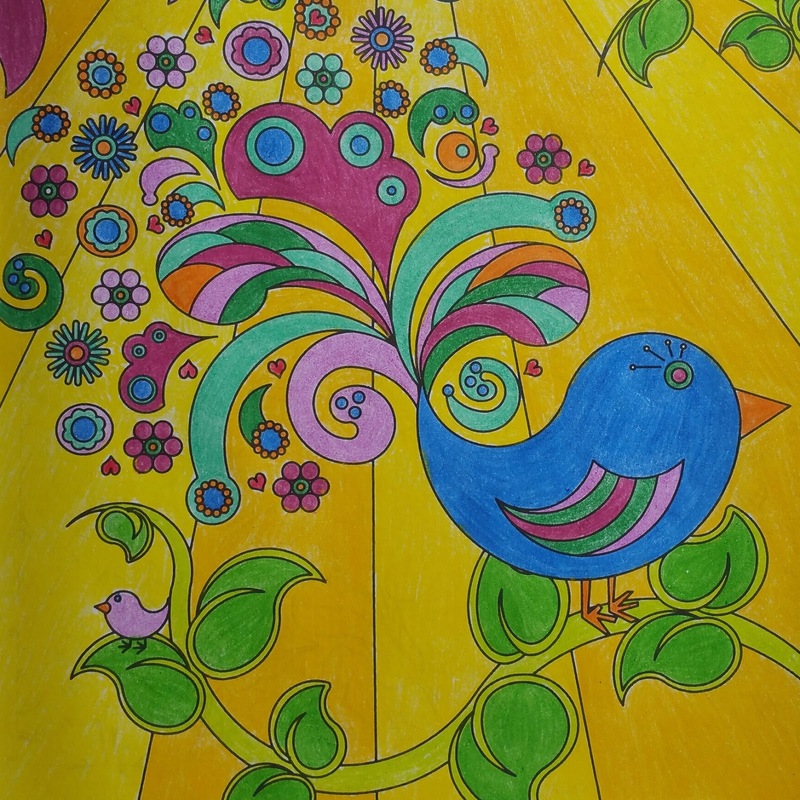 You decide but first take a look at a page I colored with Crayola (R) Twistable Colored Pencils below! 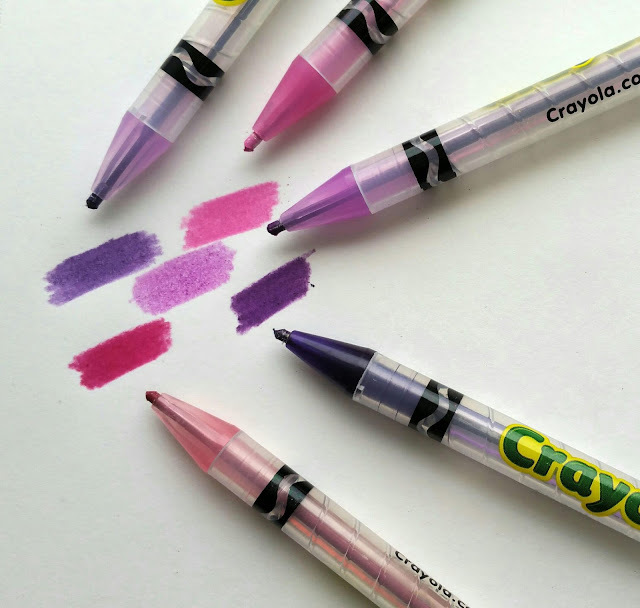 Have used Crayola ® Twistables Colored Pencils? What did you think about them? I would love to read your review! Should I buy this tool? If you want it. 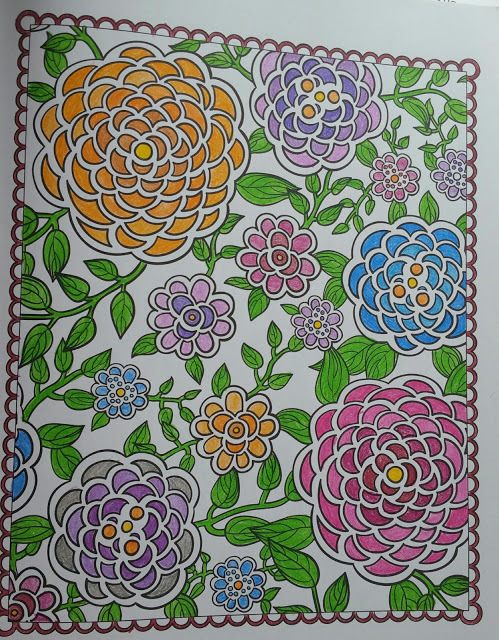 Labels: Beginner Crafter Coloring Crafty Product Review If you like it.